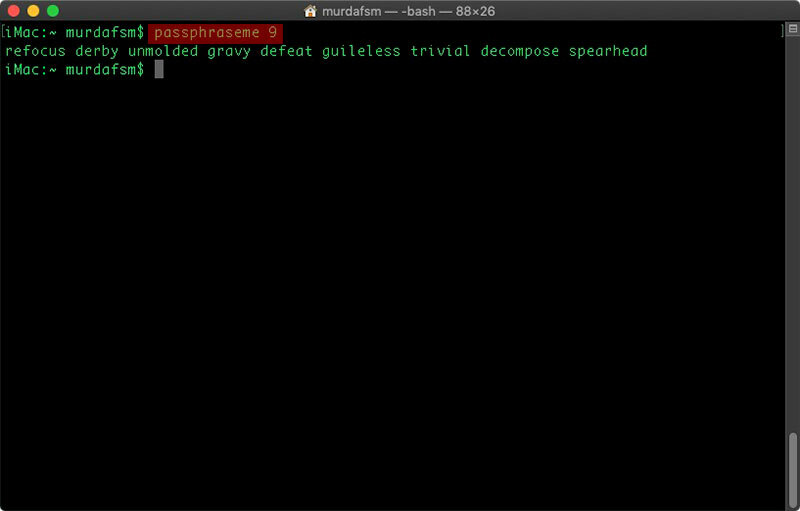 As you can see there’s a whole bunch of wordlists you can choose from. Are you a Trekkie? 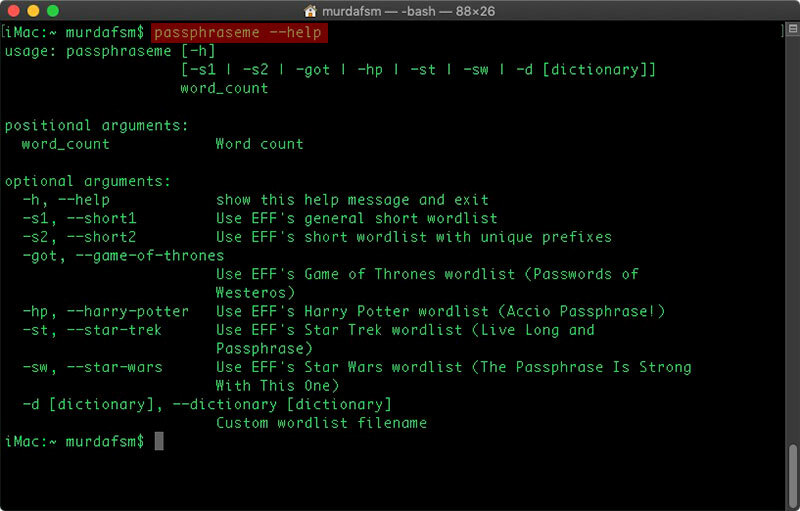 You can easily create a secure passphrase using the Star Trek wordlist. Just type passphraseme 9 -st ( 9 is the number of words in your passphrase. change to whatever you want ). You can save these passphrases in a password manager. I suggest using KeePassXC or Bitwarden – both of them are able to generate passwords and passphrases. 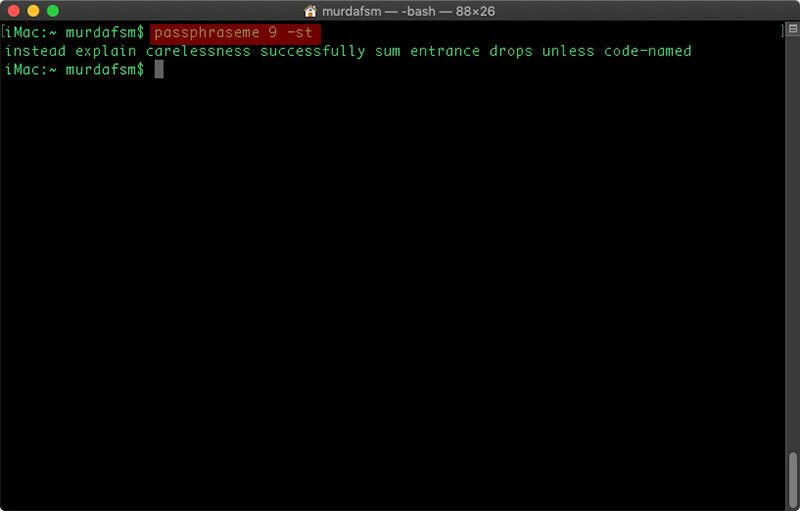 For more information on passphrases strenght and how brute force time is calculated check out the passphraseme page on github.